Capt. Christopher Bulson and Capt. 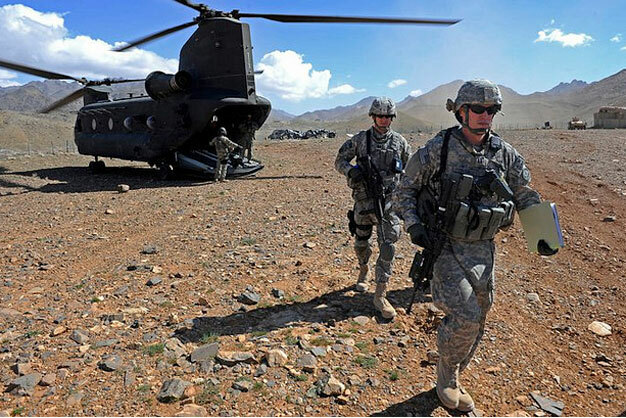 Zachariah Gummert from Provincial Reconstruction Team Zabul step off a CH-47 Chinook in Daychopan, Afghanistan Mar. 29. U.S. Air Force photo/Staff Sgt. Brian Ferguson.